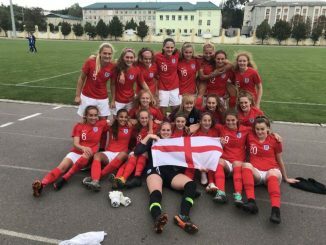 England had to settle for a draw in their opening group match at the UEFA U-17 Women’s Championship in Lithuania, as Poland equalised 2 minutes into added time. It was the Poles who scored first at the Šiauliai Central Stadium through Paulina Filipczak 3 minutes into the second half, before John Griffiths’ side hit back with two goals in 10 minutes. 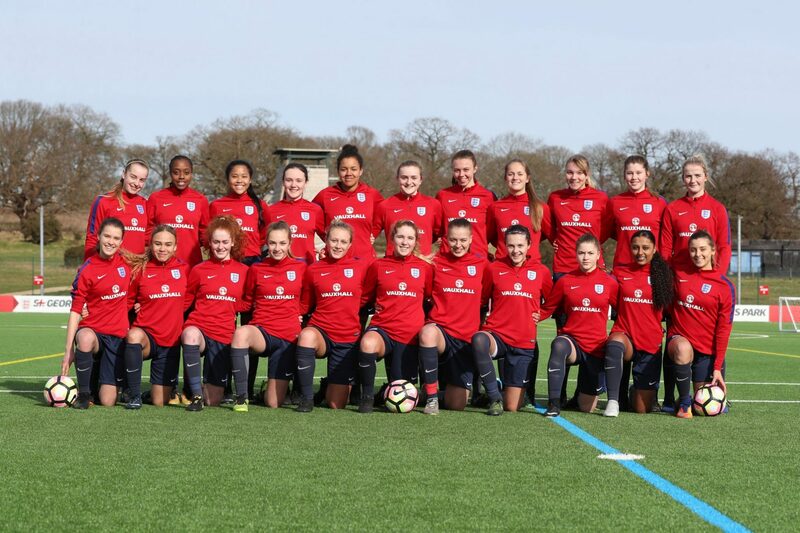 Jessica Park got the Young Lionesses back on level terms and Paris McKenzie then made it 2-1 with a dozen minutes remaining. But then came the intervention of Paulina Tomasiak to see the points shared. England next play on Saturday against Spain, who were held to a goalless draw by Italy. 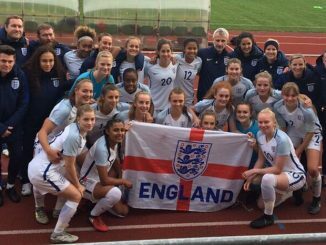 England U-17s: Rendell, Brown, Williams, Roberts, Jhamat, Smith (Salmon, 61), Ale, McKenzie, Park (C), Griffin, Woolley. Unused Subs: Stenson, Bradley, Cataldo, Kuyken, Blanchard, Roberts, Bailey-Gayle. The opening day games in Group A saw Germany edge Finland 2-1 and Netherlands thrash to hosts. Aino Vuorinen had the Finns in front, only for Shekiera Martinez to bag a brace in the final 10 minutes. 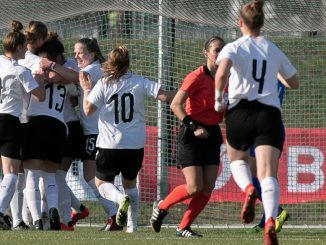 The Dutch scored six first-half goals against Lithuania, a Laura Ubartaitė own-goal followed by a Kirsten Van De Westeringh double and one each for Jonna Van De Velde and Romée Leuchter, plus a Nikita Tromp penalty. Westeringh went on to complete a hat-trick, Leuchter got her second and Dana Foederer made it 9-0 in the last minute.